Offering long and short-term furnished apartments – one and two bedroom homes, conveniently located in Daphne, AL. Whether you are relocating, on a temporary job assignment or in between selling and buying your next home, Bay Breeze has a home for you. Our flexible lease terms along with our corporate amenities will provide you with the ease and convenience of your own home. We are located close to top area restaurants and shops with easy access to I-10 and a short distance from Mobile and Fairhope. 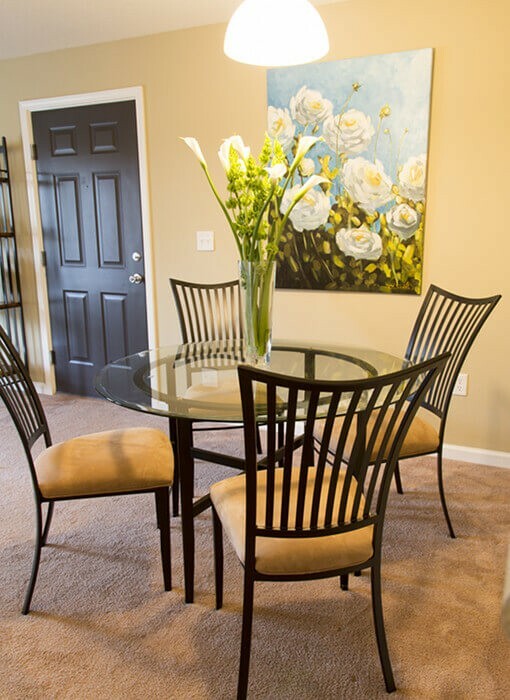 Our fully furnished apartments are ideal for those in the Daphne, AL area on temporary assignment or corporate travel. Each space has a washer and dryer, full size kitchen and living area. Bay Breeze furnished apartments offer a more spacious living environment at a lower cost than a typical hotel room. Our commitment to customer service excellence, convenient location and numerous amenities will ensure a relaxing home away from home experience. This is a great place to live no matter what age you are. The front office staff is amazing. Kelly is so helpful and really cares for her tenants. The maintenance staff is quick and proficient and the community of people are so welcoming and friendly. This isn’t just an apartment complex, it’s home and family.